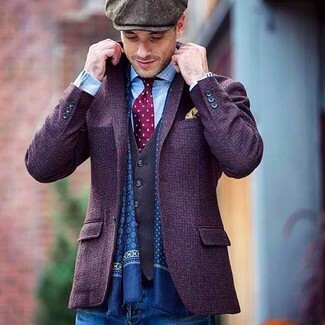 If you're on the hunt for a casual yet dapper ensemble, try teaming a black vertical striped three piece suit with a Jos. A. Bank houndstooth pocket square from Jos. A. Bank. Both pieces are totally comfortable and will look great paired together. You could perhaps get a little creative when it comes to footwear and spruce up your getup with dark brown leather loafers. If you prefer relaxed dressing when it comes to your personal style, you'll love this cool combo of a violet wool blazer and a Jos. A. Bank houndstooth pocket square. 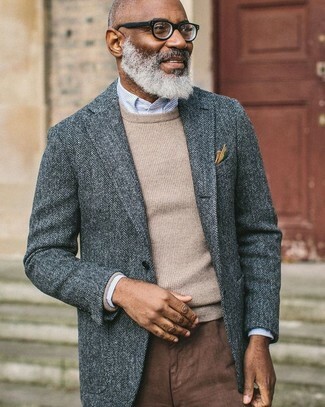 If you prefer relaxed dressing when it comes to your personal style, you'll love this on-trend pairing of a grey herringbone wool blazer and a Jos. A. Bank houndstooth pocket square from Jos. A. Bank. 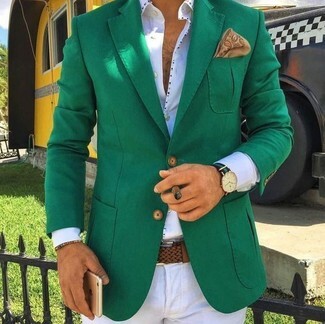 If you prefer relaxed dressing when it comes to fashion, you'll love this on-trend pairing of a green blazer and a Jos. A. 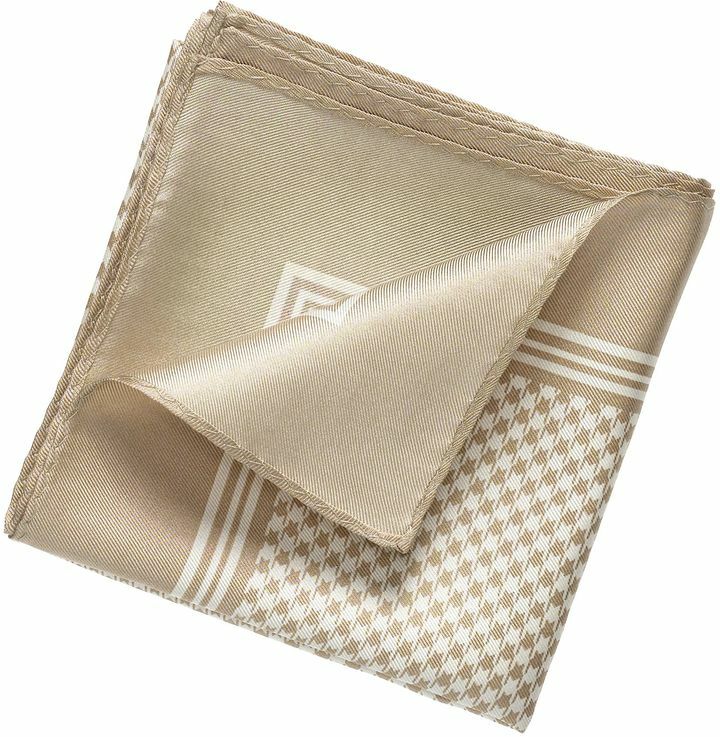 Bank houndstooth pocket square.